This time I wanted to give Sketchable a try on my SurfaceBook, so a quick download later and I was doodling away. 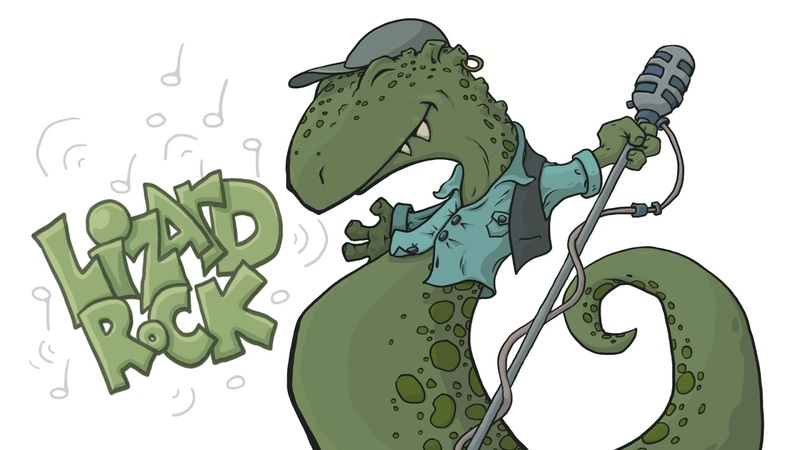 Things were going fine for a while with this rockin’ lizard dude finding its way onto the virtual page. I gave up pretty quickly though as I would need to buy the proper/premium version to gt access to layers and more brush control etc. 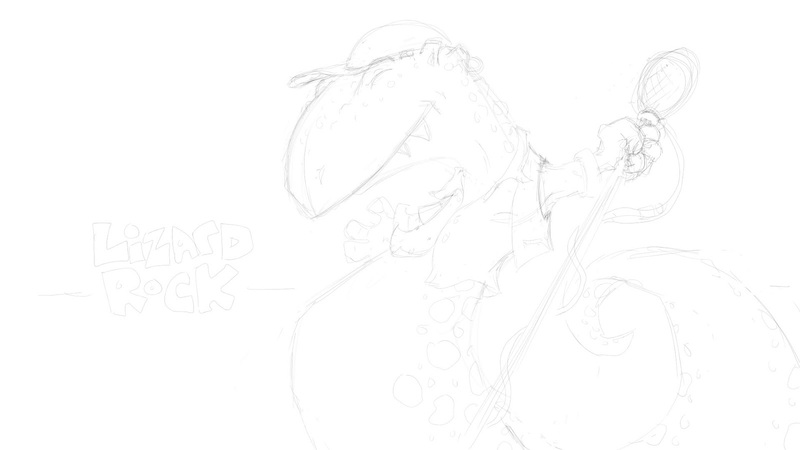 I then brought my sketch into Photoshop and did the rest, you can see here the happy fellow feelin’ the groove along with the initial sketch layer.